The TRX power supply can be used to provide a regulated 24 Vdc supply to operate a wide variety of equipment including door holding magnets, where the charging of standby batteries is not a requirement. 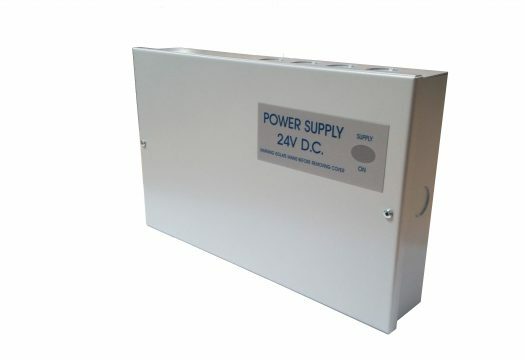 The TRX power supply can be used to power the doormouse, conquest, decorative, floor mounting, universal and/or any other 24V Geofire magnets. Available in two sizes, rated at 1A and 2.5A continuous current. Includes a double pole relay to provide a simple interface with any fire detection system.